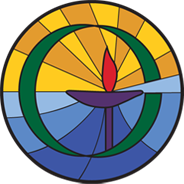 The social justice ministry of Open Circle is rooted both in our theology and in the Principles of Unitarian Universalism. The historic teachings of Universalism depart from the theology of religious teachings which emphasize judgment and justice in an afterlife. Most UU's believe that we must work to achieve justice on this earth rather than find it in the next life. Additionally, our UU Principles address the inherent worth and dignity of each person, the goal of peace and liberty for all, a commitment to the democratic process, and respect for the interdependent web of all existence. Thus Open Circle, like many UU congregations, has an active social justice program. Since working for justice is an inherently political, as well as religious act, you may hear conversations or discussions that some might consider out of place in church, but we see as part of our work for a better and more just world. However, as a religious organization, we take no partisan positions on political candidates. As a member congregation of the Unitarian Universalist Association (UUA) we give study and consideration to issues identified by the UUA as Congregational Study Action Issues (CSAI). The UUA has a democratic process for identifying these issues which congregations are encouraged to study and take action on over a multi-year period. When four or more Open Circle members wish to work together on a social justice issue they may form a Social Justice team and request recognition and funding from the Open Circle Board. See OCUUF Social Justice Framework. Currently, there are several active social justice groups at Open Circle. 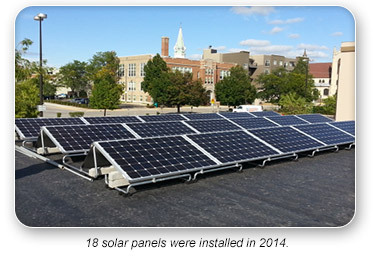 The Earth Justice Now group seeks to cooperate with individuals and organizations to work toward mitigating the degradation and destruction of the earth, primarily through education and community-based environmental projects. 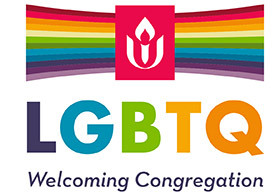 The OCUUF Diversity Committee is very active, having led the congregation in achieving the UUA Welcoming Congregation designation It was also successful in moving the local community organization, United for Diversity, to broaden its focus to advocate on behalf of LGBTQ equality and inclusion. In addition to working with United for Diversity, our social justice efforts collaborate with and support The Humanity Project, Move to Amend, Fond du Lac Food Pantry's 'Food for Thought' initiative, Loaves and Fishes, Just Fare Market, Gottfried Prairie and Arboretum, NAMI FDL, Renew Wisconsin, Shared Seasons and others.